So I got to measuring the intake clearances and they are all with-in the range made by Subaru. The sizes I need range between 4.42 and 4.73mm. So that means just 1 of 16 are outside the range made by Subaru. 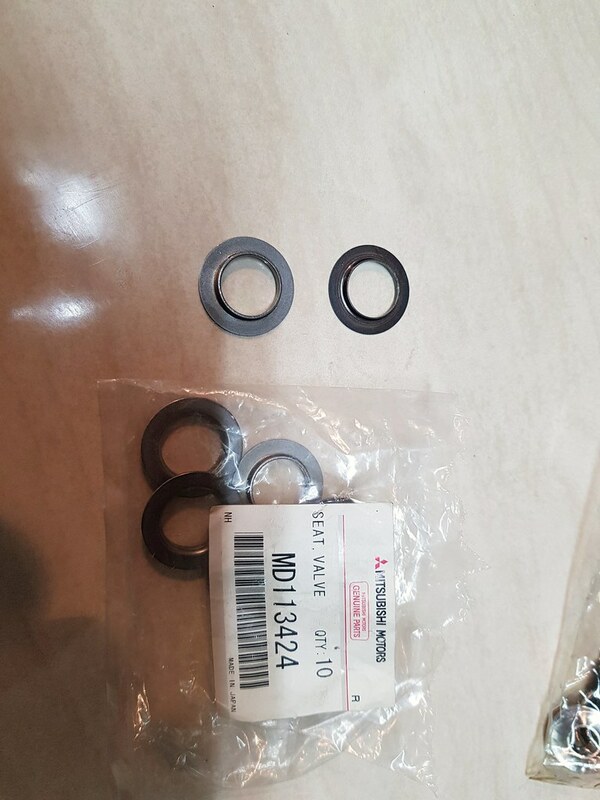 I have placed an order with Partsouq for the required shims. Amd i got a coupke of extras for the sizes that measured half way between available sizes, just incase. But for some reason one size (4.48mm) is not available, even though they list the part number. I had a look on japan parts and they dont list it. And i had a look at the Suabru Parts Depot and Subaru Genuine Parts site and they want like $60 to send 1 shim over. So i might try Subaru Aus. So apart from the missing 4.48mm lifter, amd the one exhaust which is too big. It looks like the heads are pretty much sorted now. The one exhaust clearance thats too big is only about 0.04mm or 0.0015", so it may be possible to lap it into shape? 1.5 thou is not a massive amount. Did you give amayama.com a try? I find them to have more stuff in stock over partsouq. But i did ask Mick to order the 4.48mm lifter that Partsouq didnt have from Subaru Australia. Ofcourse, Subaru Australia had nill stock country wide, but they can order them from Subaru Japan, which do have them. And of course, Subaru Australia pricing is the highest on the planet for OEM Subaru parts. Why do we get fucked so hard here for parts? Just had a look on Amayama, as ive never used them before. It looks like they can order it in from japan in 9 days. And they are USD $18.91 each. Partsouq were USD $13.77 each. But nill stock - unavailable. The US Subaru dealer Parts outlets were ranging from USD $20-35, but thier shipping was online order defaulting at like USD $50. JapanParts - no listing. Subaru Aus are like $44 at cost pricing, and over $50 retail. Gives you another option at least. I've used amayama before. Service was good and postage times were pretty reasonable. Thanks. I actually already gave the go ahead to Mick to get them from Subaru Aus for me today. So it would be rude to then cancel on him after he has already organized the order. I will try and remember to check when looking for parts next time. Heres a pic of the plugs to seal up the AVCS solenoid. I need to weld on a little tab that will allow the plug to be bolted on. Will try and tie into the OEM solenoid fastening bolt. 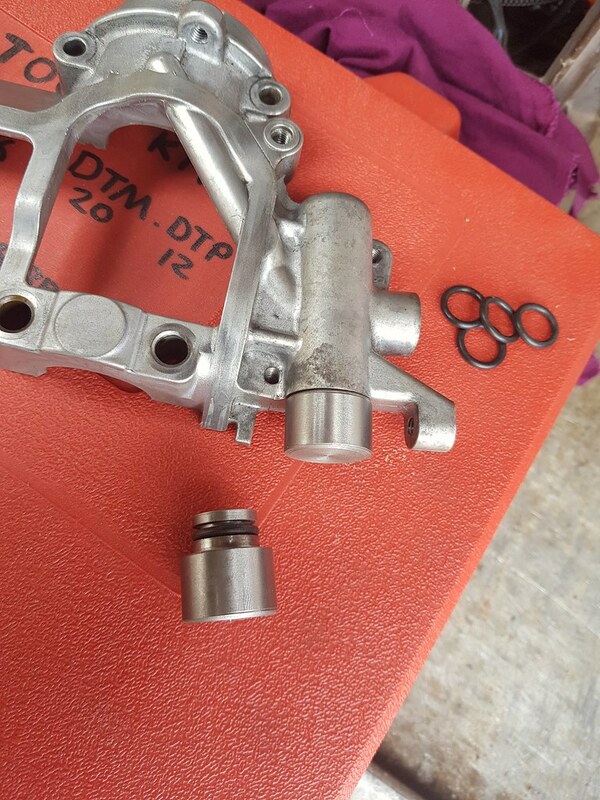 The ID, OD and lip that goes inside the spring are marginally different though. I test fitted the springs on the seats and they do fit. But its snug. Im guessing it needs to be a loose fit like how they are as standard to help with heat and to allow the springs to rotate on the seat if needed. The GSC Beehive springs have an inside diameter of .740 +/- 0.01 according to GSC. When you slip a spring on the seat, it does snug in there maybe a bit too tight, because if you look down at the spring seat, at the root of the transition between the flat face and the lip, it is rounded. And the springs are ground to be flat on the bottom. 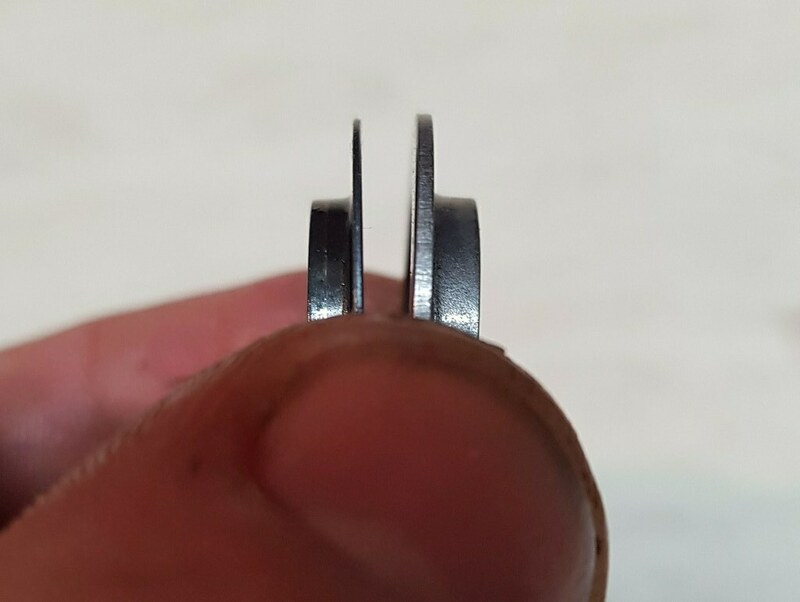 This means the cross section of the grind goes through the thickest part of the coil in places. haha, same here, I just look at the pretty pictures.